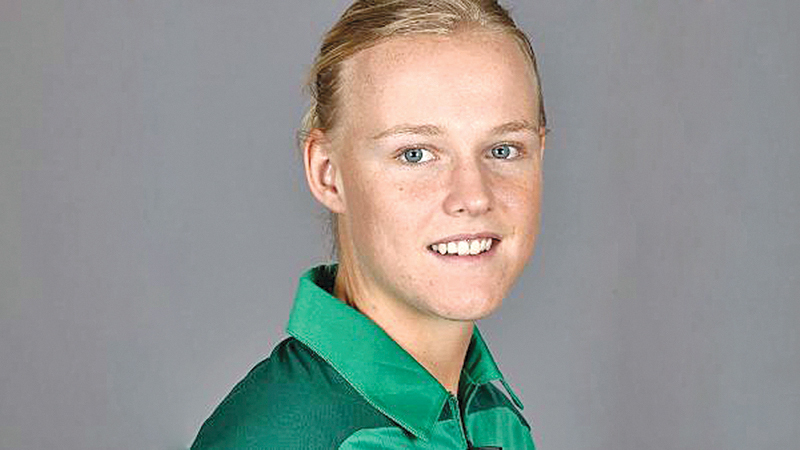 Former South Africa Women all-rounder Elriesa Theunissen-Fourie died in a road accident in Stilfontein, North West, on Friday..
Theunissen-Fourie, who was only 25 years old, also lost her child in the unfortunate incident. “This is a dreadful tragedy in the true sense of that word,” Cricket South Africa chief executive Thabang Moroe said. “This is devastating news for all of us. Elriesa did so much for the community in which she lived and gave excellent service both as a national player of note and in the work she did at grassroots level to help in the less fortunate communities. Theunissen-Fourie represented South Africa in three one-day internationals and one Twenty20 international. Her last match for South Africa came in an ODI against Bangladesh Women in September 2013. She was also a part of the South African squad in the ICC Women’s Cricket World Cup 2013 in India, and made her ODI debut during the tournament, against Sri Lanka Women in Cuttack. In domestic cricket, Theunissen-Fourie played for North West Dragons. She was known to be very active at the grassroots level and coached at the local community hub until she opted for a maternity leave ahead of the birth of her first child.